The game at the Santander Arena in Reading, Pennsylvania, was bigger than basketball on Wednesday night. The star of the night only finished with five points, but the 6,735 fans filling the arena roared just like they did when he brought the city a state title eight months ago. And the No.11 Hurricanes did the same thing, completing a late 8-0 run to pull past the La Salle Explorers 57-46. Walker, who was filled with emotion prior to the game, said he was grateful for UM’s efforts to bring him back home just so his friends and family could watch him play. Before tip-off, he enjoyed some home-cooked fried chicken, macaroni and cheese, and participated in his pregame ritual of kissing his grandma and hugging his mom and grandpa. And Miami recording its fourth win of the season made the night even sweeter for him. The Canes (4-0) shot just 24 percent and were out-rebounded 22-21 in the first half but did just enough in the second half to beat the Explorers (3-3). 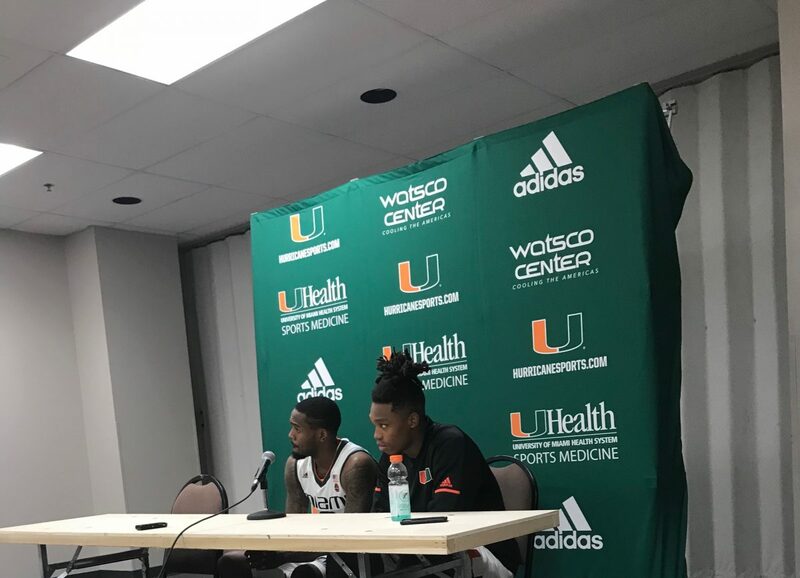 The Hurricanes led 41-39 with 4:50 remaining, but back-to-back three-pointers by sophomores Bruce Brown and DJ Vasiljevic put the game out of reach. Sophomore forward Dewan Huell led Miami with a career-high 16 points on 8-10 shooting and seven rebounds. Despite getting the victory, UM’s starting backcourt of Brown, Vasiljevic and Ja’Quan Newton combined for just 19 points on 22 percent shooting. Junior guard Anthony Lawrence pulled down 10 rebounds and chipped in seven points, while redshirt freshman Sam Waardenburg scored seven points in his Hurricane debut. For La Salle (3-3), Pookie Powell scored a game-high 17 points, while B.J. Johnson posted a double-double with 16 points and 16 rebounds. While Miami didn’t display a dominating performance, Walker was thankful for the day in his hometown. 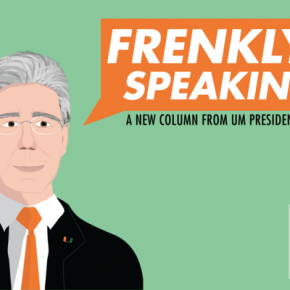 The story for UM continues at home when it hosts the North Florida Ospreys at 4 p.m. Nov. 25 at the Watsco Center.